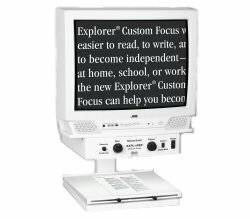 A popular video magnifier and comes with a 20inch screen, sharp auto focus features & easy to use controls that make viewing easy! All Custom Focus systems have been engineered for dependability. Freeze Image Mode allows you to capture an image, like a business card or prescription bottle on the screen. The ability to adjust the brightness and contrast while in Freeze Mode is an exclusive feature in our autofocus systems! Our black & white Custom Focus systems offer the same benefits as the unit above but without full color. 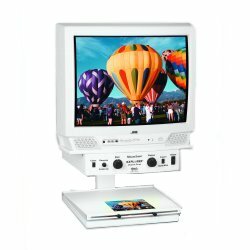 Save $300 while maintaining maximum versatility, Plus, use it as a TV!